One end of tool has a lightly sticky substance which you use to pick up your flat back from the top. 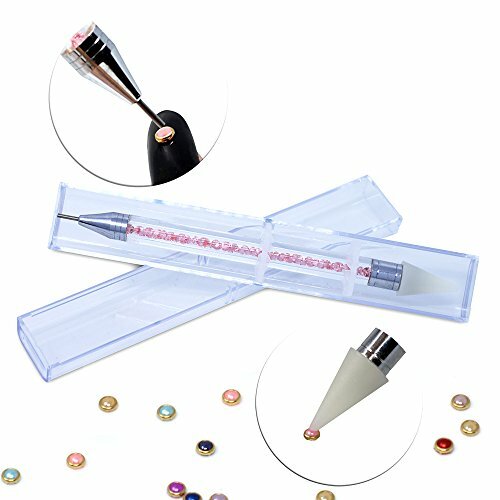 Apply your adhesive to either the place where you want to set the jewel, or onto the jewel itself.Set Jewel in place and use the pointy end of the Jewel Setter to make adjustments.Why is the Jewel Setter better than tweezers? Because you will get glue on the tweezers each and every time you place a rhinestone, and you will have to clean them after each stone. Not so with the Jewel Setter! 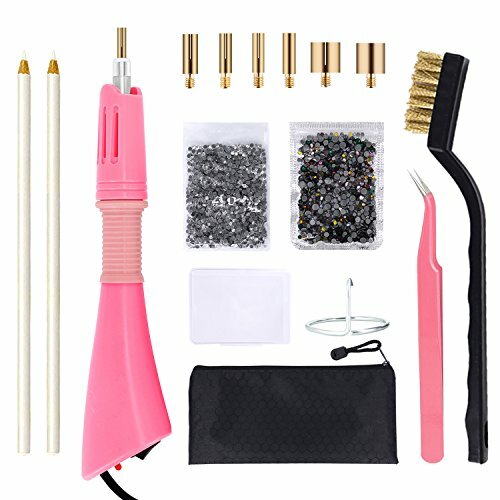 Each package contains two tools, so you can use one to pick up the jewel, the other to set it into place.Please note: our supplier does not guarantee color of this item, some shipments are pink, some are blue. 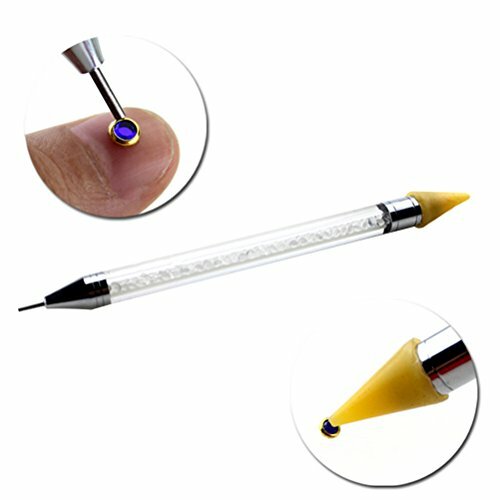 We unfortunately can not guarantee which color you will receive.Quantity: 2 Jewel Setter Tools. Approximately 5 inches long. Lightweight plastic with sticky wax tip for ease of use. Apply rhinestones to almost any surface with this hot-fix applicator. Simply heat special hot fix rhinestones with tip of applicator. Includes 7 hot fix tips (4 crystal, 3 stud) and support stand. 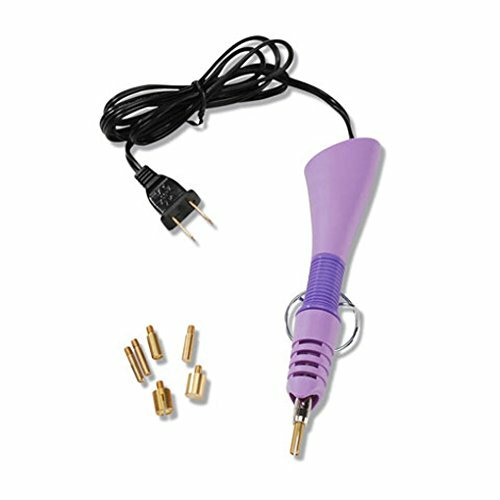 Hot-fix applicator wand instantly applies rhinestones to cotton, denim, and more. Features ergonomic handle, lighted on/off switch, extra-long, 65-inch electrical cord and sturdy support protects work surfaces. For use with hot-fix rhinestones (sold separately). Measures approximately 2 by 2 by 9 inches. 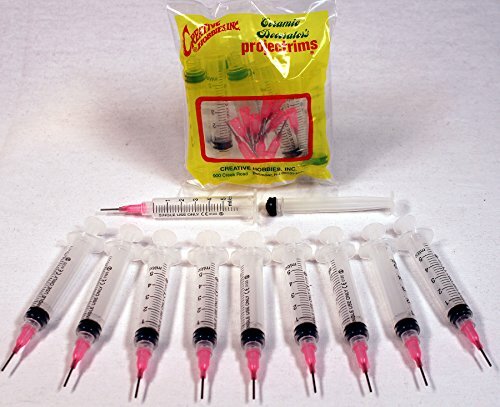 Save money with Creative Hobbies® Pack of 10 Precision Applicators for one low value pack price! These applicators are great for Flat Back Rhinestone Applications and precision application of CA glues, inks, lubricants, sealants, & more! Includes Ten 5cc syringes and Ten 18 Gauge Stainless Steel Blunt Needle Tips .5" long. Perfect for a wide variety of home, craft, hobby & industrial applications. Other sizes and styles available. 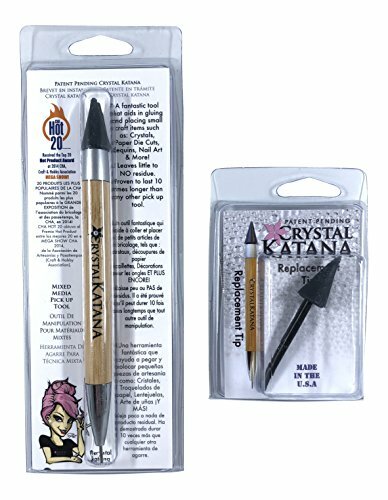 The award winning Crystal Katana with a Replacement Tip...perfect for your blinging needs! The Crystal Katana by CrystalNinja was created by award winning Flatback Specialist and master user, Kellie DeFries and is proven to shave time off the process of hand setting-gluing Swarovski Flatbacks, ss12-ss40. Do you use regular beeswax, but find it too soft, leaving residue? Do tweezers cramp your hands and fling crystals across the room? Do other china markers/grease pens break, chip, and leave extra residue on crystals? Have you noticed the taller, sharper table facet of the gorgeous #2058 Swarovski Elements shredding other pickers and tips to smithereens? The answer to this madness: the Crystal Katana. 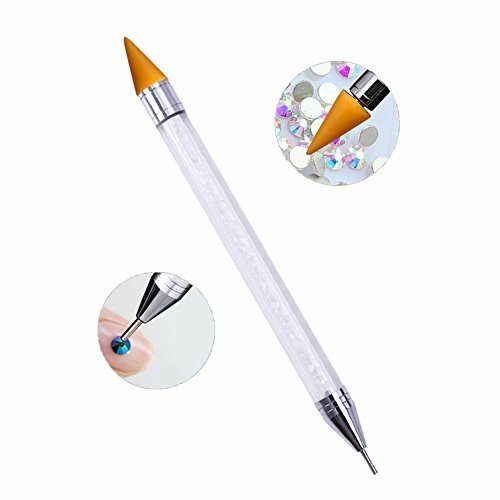 Specification: Material: Wax + steel head,acrylic rhinestone handle Lenght:aprrox 15cm Feature: 100% Brand new and good quality This pencil designed for picking rhinestones and other charms beads Self-adhesive wax tip makes rhinestones placing on natural nails, false nails, acrylic nails easily Handy tool for fine nail art work to create beautiful nail art design on finger or on toe nails Package: 1pc Nail Rhinestone Picker Wax Pencil Pen Notice: 1.Please allow 1-3cm error due to manual measurement.Pls make sure you do not mind before you bid. 2.The color may have different as the difference display,pls understand. 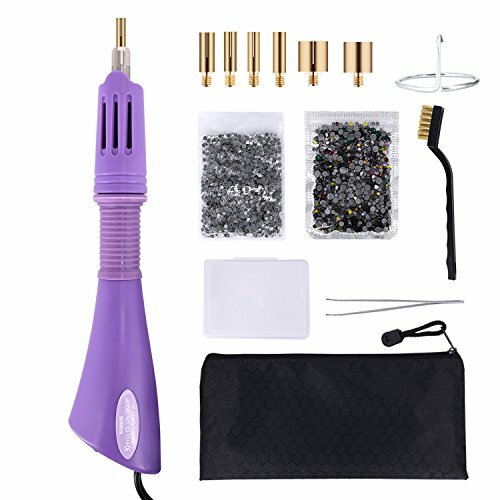 Looking for more Crystal Applicator similar ideas? Try to explore these searches: Boat Speaker System, Butterfly Wings Collage Sheet, and Swarovski Sewing Rhinestones. Look at latest related video about Crystal Applicator. Shopwizion.com is the smartest way for online shopping: compare prices of leading online shops for best deals around the web. Don't miss TOP Crystal Applicator deals, updated daily.